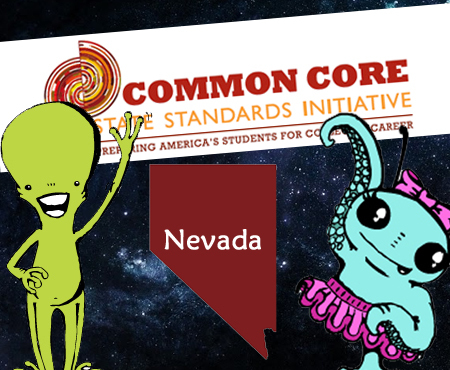 Nevada has adopted the Nevada Academic Content Standards. Nevada schools will administer the Smarter Balanced Assessments to measure student proficiency of Nevada Academic Content standards. Education Galaxy’s Smarter Balanced Assessments preparation program provides online assessment and practice for students in Grades K-6 to help build mastery towards the Nevada Academic Content Standards. Our unique online program is easy to use and enjoyable for both teachers and students. Students work on their Study Plans practicing important concepts while teachers pull formative assessment reports to identify the strengths and weaknesses of their classroom and individual students. None of our content is ever simply “Aligned”. We ensure all our questions are built from the ground up to prepare students for the rigor of the Nevada Academic Content Standards for Smarter Balanced Assessments. Education Galaxy provides thousands of Common Core questions for you to use with online assessments and printable worksheets. Content covers math, language arts, reading, and science. Every student receives their own personalized Smarter Balanced Assessments Study Plan that allows them to see exactly how they are performing in each individual Nevada Academic Content standard. Students can work self-paced, or teacher directed. Students work through their Study Plans to earn rewards and show mastery. 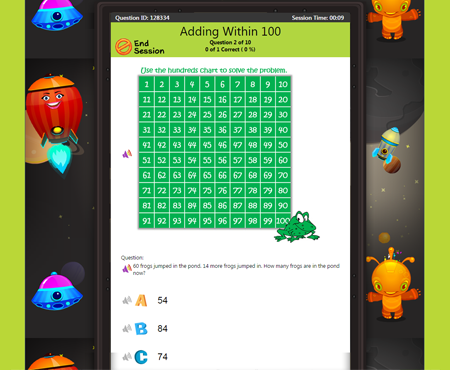 Education Galaxy makes Smarter Balanced Assessments test prep fun and engaging! Students can’t wait to “play” Education Galaxy! 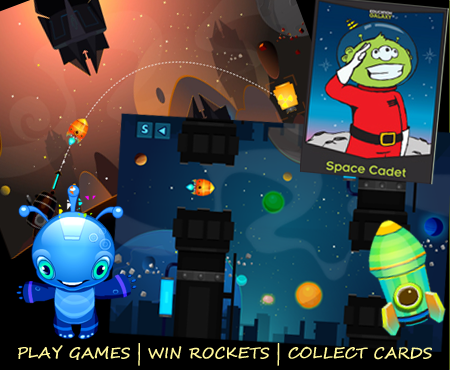 While Education Galaxy is fun, students must earn their rewards and game time. We reward students for success throughout the school year to keep them engaged while rewarding their progress of mastering standards. Answering questions correctly during study time allows them to play mini games. Mastering concepts provides them Galaxy Stars that are used to unlock rockets for their games and to improve their Alien Ranking. Galaxy Cards show absolute mastery! 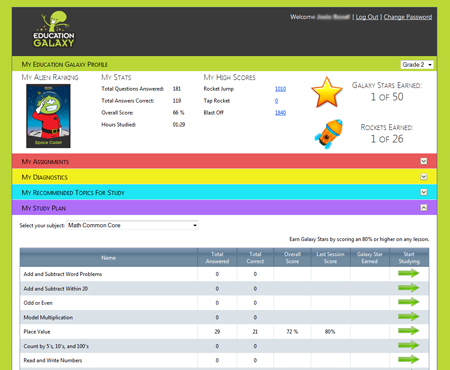 Nevada’s Smarter Balanced Assessments preparation is fun and rewarding with Education Galaxy. Students can take formative online Smarter Balanced Assessments practice assessments and receive immediate feedback when questions are answered incorrectly. Students must first get the correct answer before moving to the next question. When sessions are complete, students are given a full summary of their work and can even go back through missed questions. Study sessions allow for true Common Core assessment and provide valuable practice for students. Along with wonderful solutions for grades 2-5, Education Galaxy provides amazingly fun solutions for our younger learners in kindergarten and first grade. Students are seamlessly integrated into an assessment environment with beautiful graphics, games, and fun questions. A real human voice reads all text to the students. In many cases, it is other kids reading the reading passages and questions! Your young learners will love Education Galaxy! Students immediately have access to Nevada Academic Content Standards formative assessments online with their personal Study Plans. Education Galaxy also allows you to easily create custom summative assessments with our huge library of content sorted by standard. Need worksheets? Use Education Galaxy to create custom worksheets with our unique Worksheet Builder. 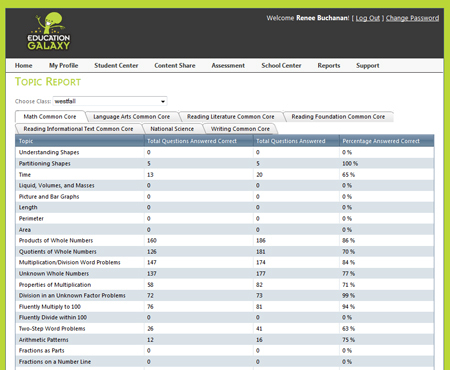 Nevada Teachers can easily pull different reports filtered either by student, class, grade level, subject, or school. Reports allow teachers to quickly find the specific Nevada Academic Content standards that students are doing well in and areas that require more instruction. Use individual student reports to help with parent teacher conferences or student progress reports.